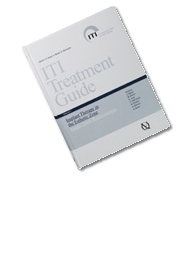 Straumann’s academic partner, the International Team for Implantology (ITI), introduced the first Volume of the ITI Treatment Guide in cooperation with Quintessence publishing. Volume 1, entitled `Implant Therapy in the Esthetic Zone – Single-Tooth Replacements` was introduced to the professional community at the EAO’s 15th Annual Scientific Meeting in Zurich.It takes its readers through the entire process, starting with the assessment of the patient’s individual esthetic risk profile and proceeding to through ideal three-dimensional implant placement and proven prosthetic management options. The various aspects are illustrated using patient case studies. Detailed illustrations serve to clarify any potential ambiguities. An analysis of potential complications in esthetic implant dentistry completes this first volume.